medical treatment on the basis of what they have seen on Believe TV. OFCOM decided to act because of the repeated nature of the incidents which included claims to be able to cure cancer. VPA and “purchased” Ribena (allegedly representing the blood of Christ) and “oil”. It will be interesting to see whether Christian pressure groups view this as an attack on Christianity or welcome it as a protection for the vulnerable. 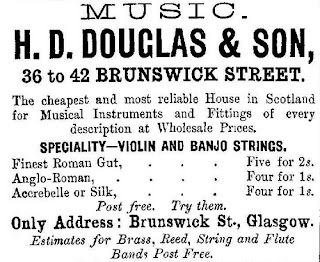 This is the summary of my research into Douglas & Son, brass musical instrument makers of Glasgow. 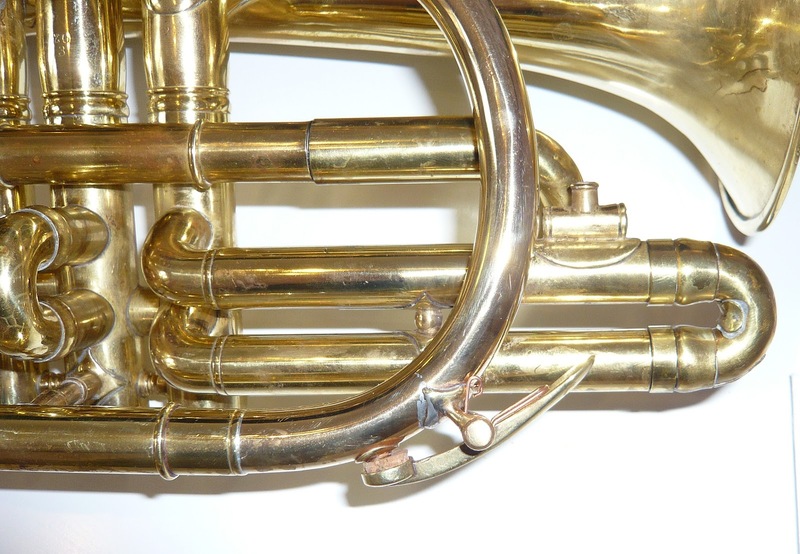 There is a similar cornet in the collection of Edinburgh University marked "Douglas and Son" which they date to "1860 probably c 1872". This company name does not match any of the ones I am able to date, but my hunch is that their instrument is closer to 1907 as the earlier ones reference Hugh or H D Douglas. Mine must be post 1907 as it has Ltd in the company name, but is built in the earlier style. Kelvingrove Art Gallery and Museum in Glasgow used to have a Douglas cornet listed in their collection, but it is not currently showing up in their online archive. 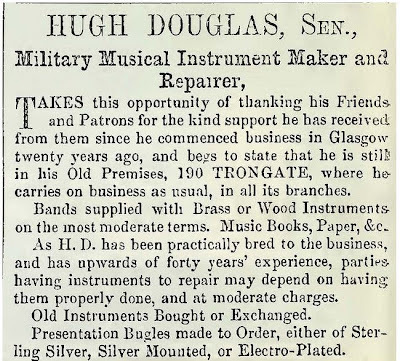 Hugh Dow Douglas was a musical instrument maker who started his business around 1850 at 190 Trongate, Glasgow. 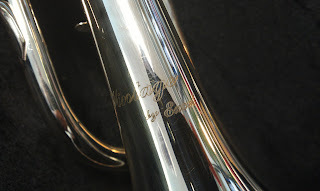 His company made or sold a variety of woodwind, brass and bagpipe instruments aimed at the military and growing civilian wind band market. 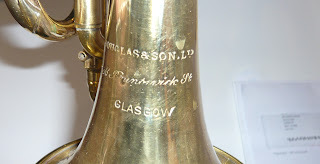 Douglas himself was a brass player and is listed as bugler to the 1st Lanarkshire Rifle Volunteers. The 1st Lanark had a bugle band, but by 1887 it had become a brass band under Mr Robert Strachan and promoted to the 1st Battalion, replacing the pipe band who were demoted to the 2nd. The 3rd Lanark didn’t have a band. They had a football team instead, which went on to become quite famous. 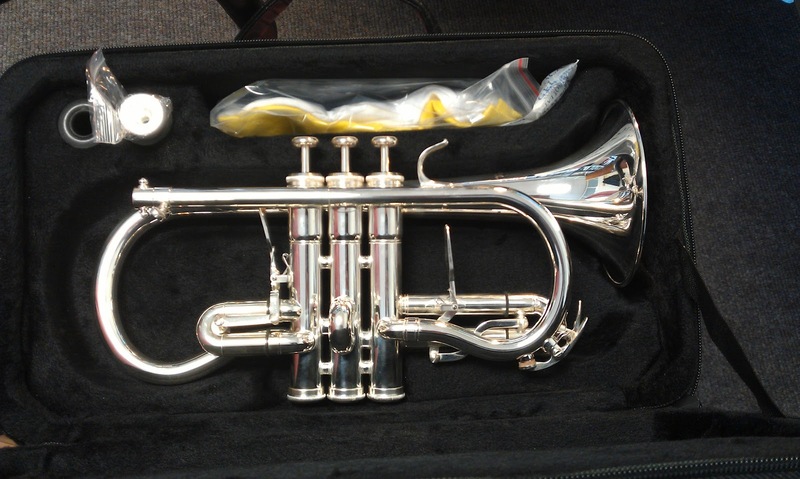 Its probable that Hugh Douglas started in the bugle band and moved into the brass band, possibly even supplying some of the instruments. 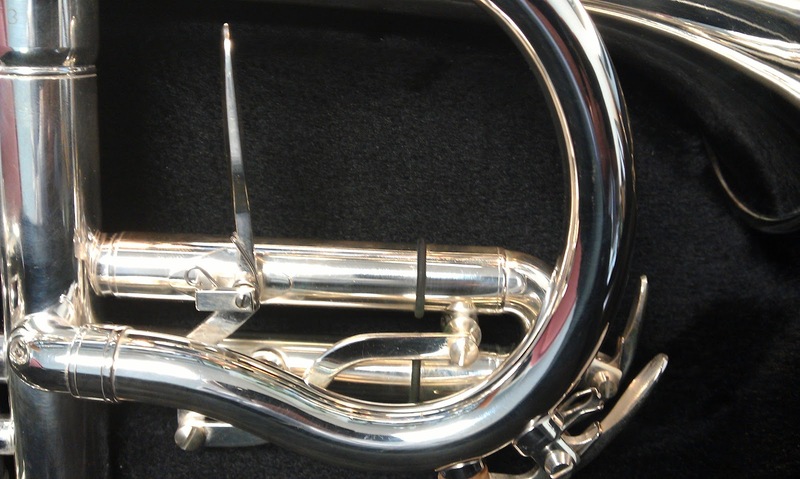 Douglas seems to have been something of an entrepreneur and saw the potential for the new brass instruments to supplant woodwind instruments in civilian bands as a money making opportunity. In 1862 he organised and sponsored the first brass band contest in Scotland (known as H D Douglas' Contest) with a series of further competitions in 1864 and 1865. The top prize was £77 - equivalent to £1600 in today's money. 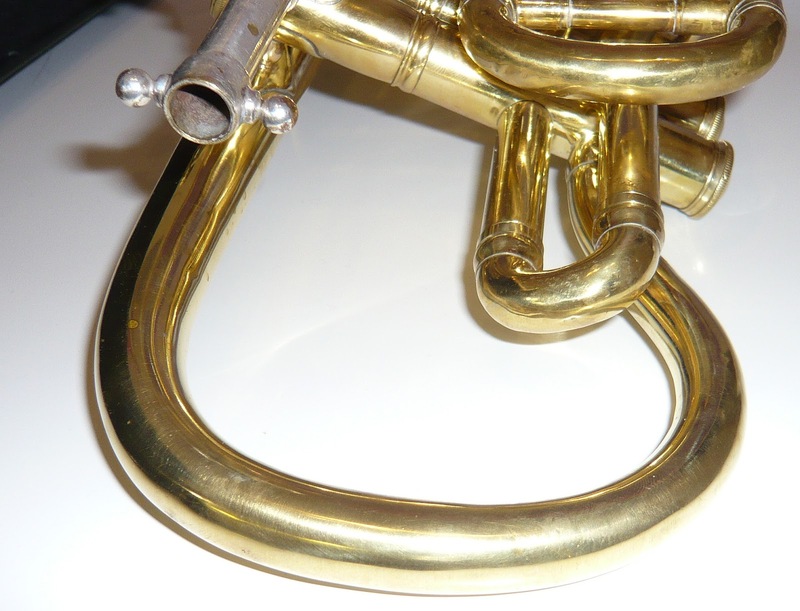 Credit is due to the late Mr. H. D. Douglas, musical instrument-maker, Glasgow, who was Field Bugler to the 1st L.R.V., for having attempted to do something for the improvement of these bands while they were still brass bands. He organised contests in 1862,1864, and 1865, with the view of "increasing the efficiency of the Volunteer and other bands in Scotland. 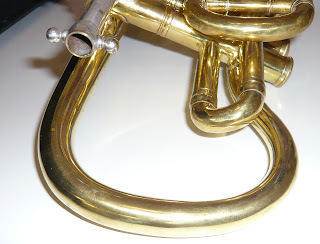 (Music for the people: a retrospect of the Glasgow international exhibition, 1888, with an account of the rise of choral societies in Scotland, Robert A. Marr 1889 (reprinted in The British bandsman: the official organ of the National Brass Band Championships, Volume 1, Issue 24 quoted in this article). Maybe he was one of the first promoters of brass band contests to find out that there was no real money in it? 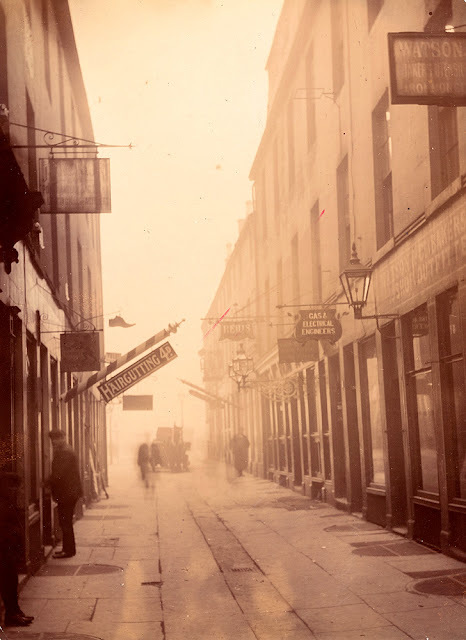 This not withstanding, his business continued and by 1870 included his son at expanded premises 36-38 and later incorporating no 42 Brunswick Street. 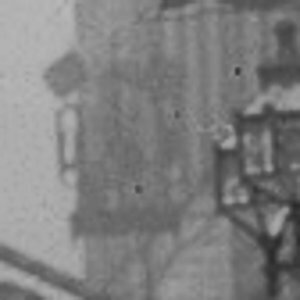 Then in 1908 the firm moved to 66 Brunswick Street. The company Douglas & Son Ltd (company number 6545) Was formed in 1907 (source - National Archives of Scotland). By the onset of the first world war the company was mainly producing bagpipes and seems to have stopped trading totally around 1920. 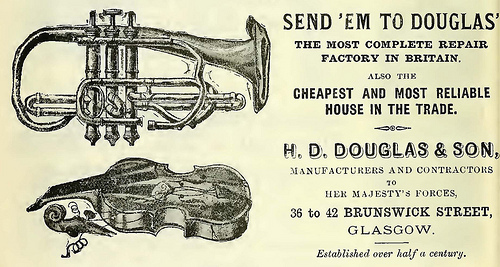 Its not clear if Douglas & Son made brass instruments themselves or just marketed other peoples. His premises were rather small and although that does not preclude manufacturing of small instruments, manufacturing the full range of larger instruments he sold would have been difficult. 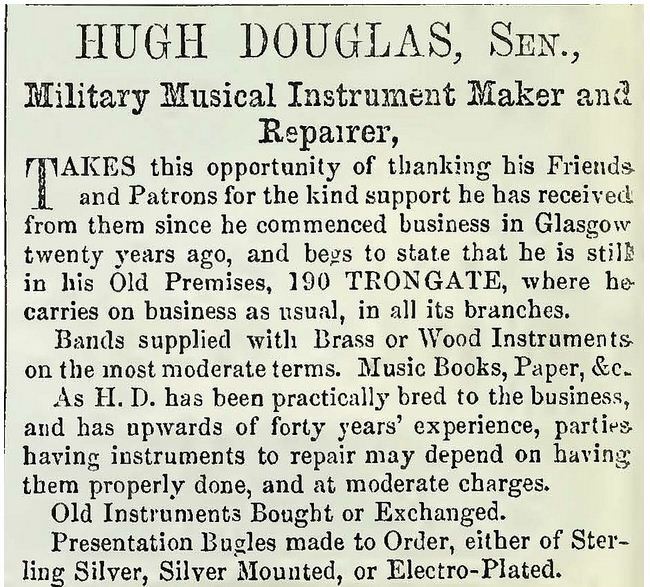 At the time of Hugh D Douglas' death in 1887 he was selling instruments made by Thibouville Lamy of France (according to his will which lists a debt to that company), but he also owed a debt to an electro plating company in Glasgow so he must have been repairing or manufacturing something. The cornet I have is very similar to French models of the late 1800's and Douglas were agents for Millereau of Paris (who also manufactured the Arban brand cornets). 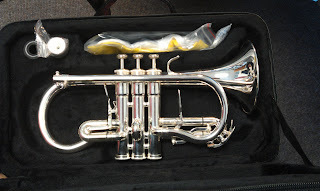 Its possible my cornet was made for Douglas and sold with his name on it. 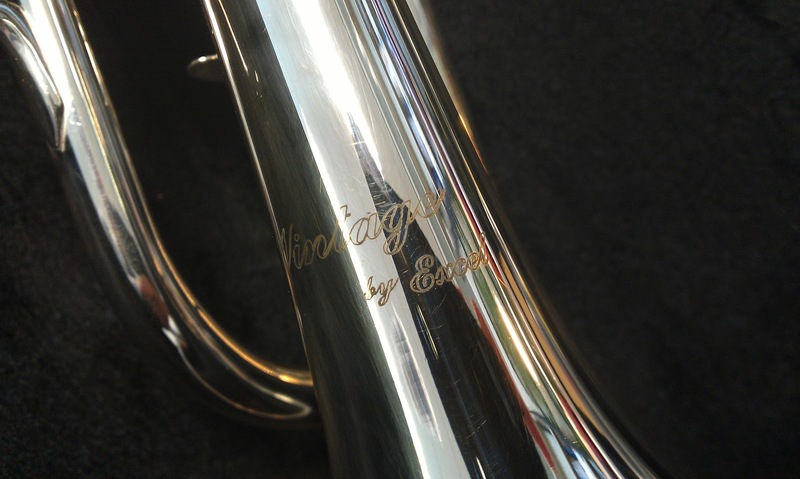 Against this theory is the fact that many Millereau instruments exist with the Douglas name engraved on them as supplier. I have only seen cornets and trombones made by Douglas which may indicate that he only made these smaller instruments. I undertook this work to try and determine who the son was in Douglas and Son. Both were too young to have inherited the business on their father's death, but his daughter was 24 and may have continued the business until they were old enough. 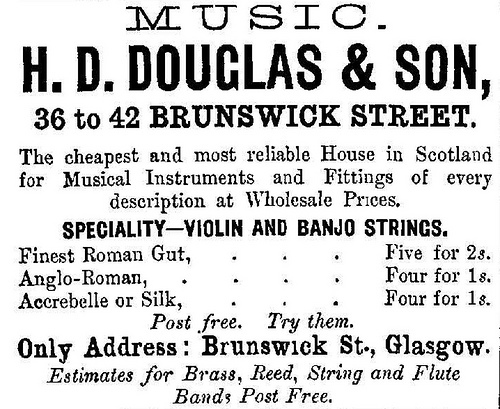 John Gray Douglas is listed in the 1881 census as a "music seller" so it seems that he is likely to be the "& Son". His main asset on death was his shop stock, worth £689. His cash in hand was insufficient to pay for the funeral. The business was inherited by his wife along with the rest of his estate. 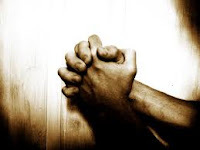 The ASA ruled that 'A video on the website made claims that HOTS volunteers had successfully prayed for healing for people with cancer, fibromyalgia, back pain, kidney pain, hip pain, cataracts, arthritis and paralysis. 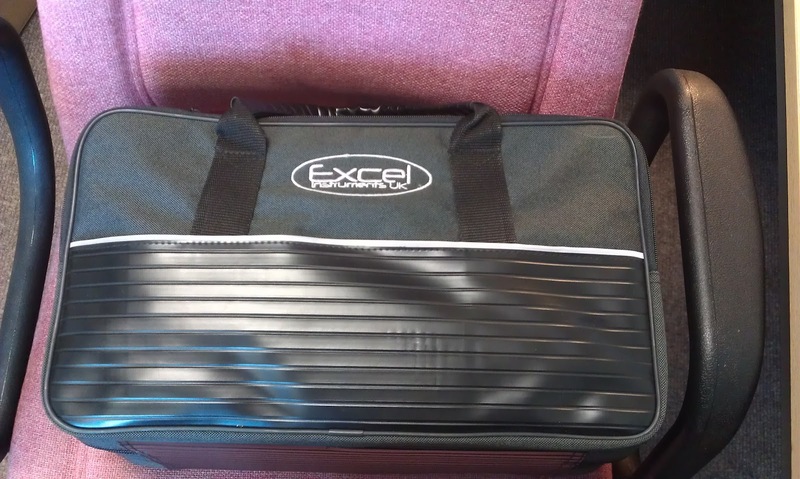 We noted the testimonials on the website and in the video but considered that testimonials were insufficient as evidence for claims of healing. We therefore concluded the ads were misleading'. The ASA also 'noted we had not seen evidence that people had been healed through the prayer of HOTS volunteers, and concluded that the ads could encourage false hope in those suffering from the named conditions and therefore were irresponsible. We acknowledged that HOTS had offered to make amendments to the ads, and to remove the leaflet from their website. However, we considered that their suggested amendments were not sufficient for the ads to comply with the CAP Code. 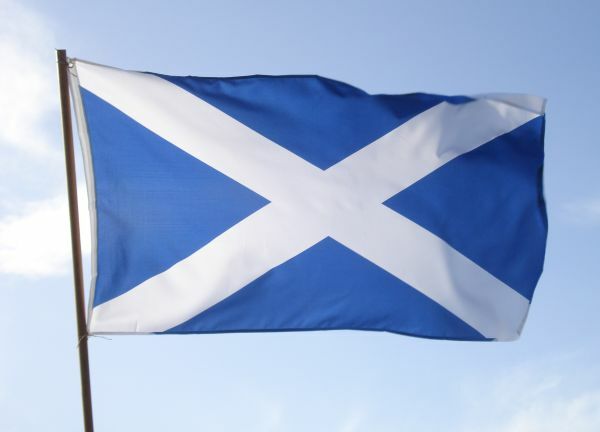 I have written before about a similar organisation in Scotland that seems to be based around churches with links to the Toronto Airport Christian Fellowship. Their motivation seems to be that miracles are a "convincer" for God in what amounts to a sales process. Quite different to conventional protestant evangelicals who rely on a forensic (reasoned legal) argument for the existence of God, these new wave Christians use a sales process based around selling the benefits of belief - whether ultimate salvation or current earthly ones. Some Christians will no doubt see this as evidence of persecution, but extraordinary claims require extraordinary evidence and personal testimony just doesn't cut it. For example, I can remember being in a church where a miracle was announced to have happened - somebody healed of breast cancer - but on enquiring it turned out that the lady had felt a lump, gone to the doctors, the congregation had prayed and the lump was found to be benign. I am willing to bet that the lump was never cancerous. Had it been found to be so and then the congregation had prayed I might be more sympathetic to the idea.